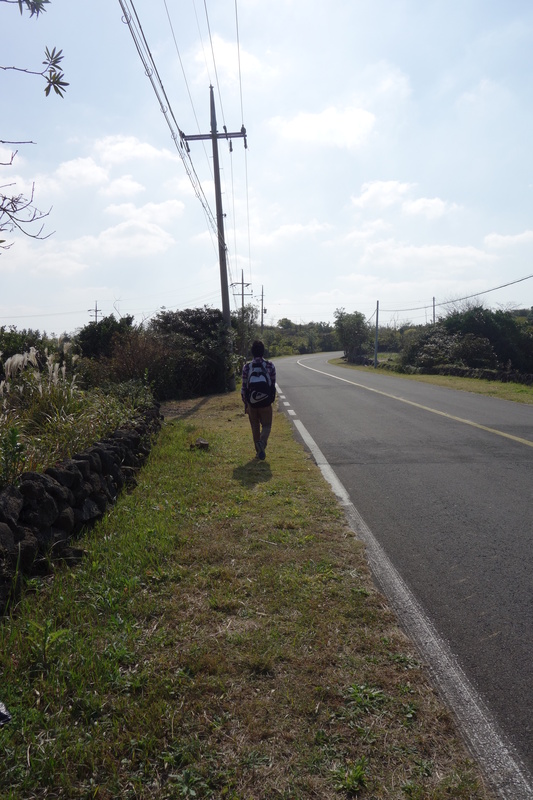 Jubilant in Jeju Part 1; exploring the gem of a volcanic island south of South Korea. To the south of South Korea lies Jeju Island; this volcanic island is one of the nine provinces that makes up SK and is an extremely popular tourist destination for inhabitants of both South Korea and China. Jeju Island first appeared on our radar when my Korean friend Anna suggested it as somewhere to visit alongside Seoul and Daegu. 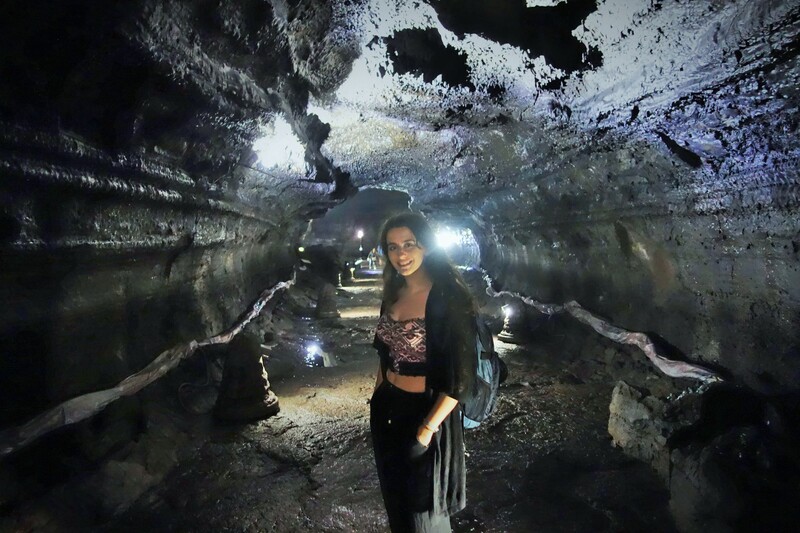 I had not heard of it before but a quick Google search enlightened me about how Jeju was renowned for its famous lava tubes and general relaxed ambience. As we thought it would make a more rural contrast to the other major cities we were doing in South Korea, we touched down there for a few days after Seoul and before Daegu. We were staying at the Hotel W Shinjeju in Jeju-Do which was in an excellent location, just a couple of minutes from a large number of restaurants, cafes and shops. Following on from my vegetarian issues in Japan (see “the struggle is real: attempting to survive as a Vegetarian in Japan”), my first port of call was to hit up Happy Cow. Here, we found a gem in the form of the Oasis bar and restaurant, which we liked so much we visited there twice over our few days in Jeju; the menu is very Western (you’ll find pastas, pizzas, salads and toasties amongst other things) but the staff have no issues with removing or changing ingredients to suit any dietary requirements you may have. 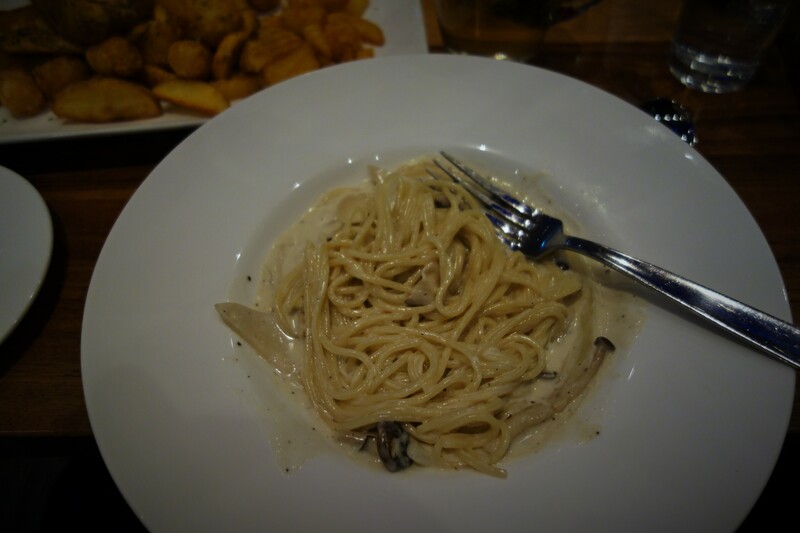 As a self-confessed carbohydrate junky, I found the creamy mushroom spaghetti to be delicious- just enough to feel satiated without feeling like you have overloaded on rich stodgy food. 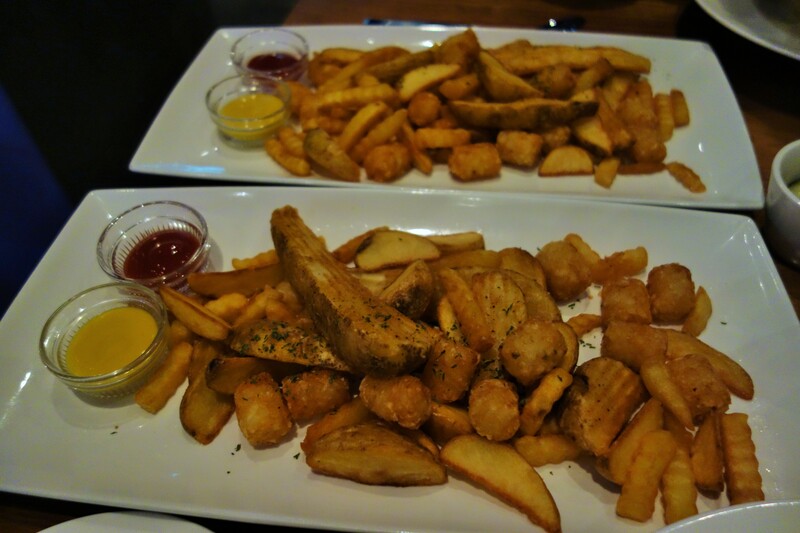 The restaurant was also the location of a chip eating contest between myself and my travel companion (yes, I think that speaks volumes about the sort of travellers we are) and victory has never tasted sweeter (or so potato-ey- he will never live it down). Onto the attractions- with such a short amount of time in Jeju, we knew we had to pick and choose what to do. We considered NANTA theatre (50,000 KRW per person/ £30 per person) and Hamdeok Beach (but a beach is still just a beach) before we stumbled across Manjangul Cave, a UNESCO World Heritage Site which had the Geographer in me weeping with joy. The bus route to get to the Cave is simple enough from a central Jeju bus station but be warned- drivers expect tourists to know how payment for tickets works and are not particularly considerate to those who are unaware. Also, since very few bus drivers speak any English, the best thing to do is to speak to the tourist information staff at any of the central bus stations in order to ensure you know what to pay and how the system works. Our bus driver was probably one of the rudest people I encountered in my travels, and passengers were confronted with the most fearsome of situations- bus doors that closed without any warning whatsoever. It was almost hypnotic, watching passengers sprint onto and off of the bus in an attempt to avoid sustaining any form of injury. About an hour and 10 minutes later, my very relieved travel companion and I disembarked from the bus and found ourselves confronted with a dusty but scenic landscape, silent aside from the occasional whoosh of a car speeding past. Never has “Boulevard of Broken Dreams” felt more apt. We felt like gods walking down the road overlooking such views whilst singing this. We decided to walk to Manjangul Cave, which was about 2.5km away from the bus stop. Note that if you don’t wish to walk, there are plenty of taxis that will slow down upon spotting a person and offer to drive you there but we reasoned that the weather was nice and we both had a fair amount of energy so walking was a perfectly acceptable option. 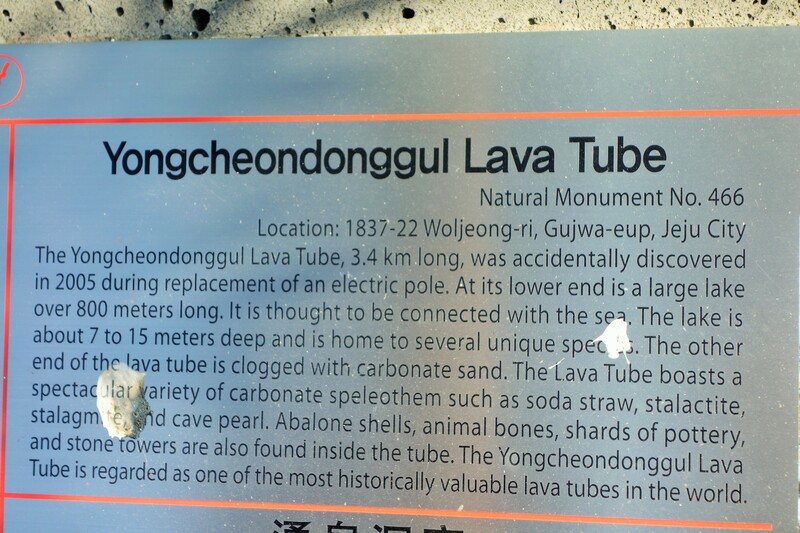 During the walk, we passed Yongcheondonggul Lava Tube, considered one of the most valuable lava tubes in the world. 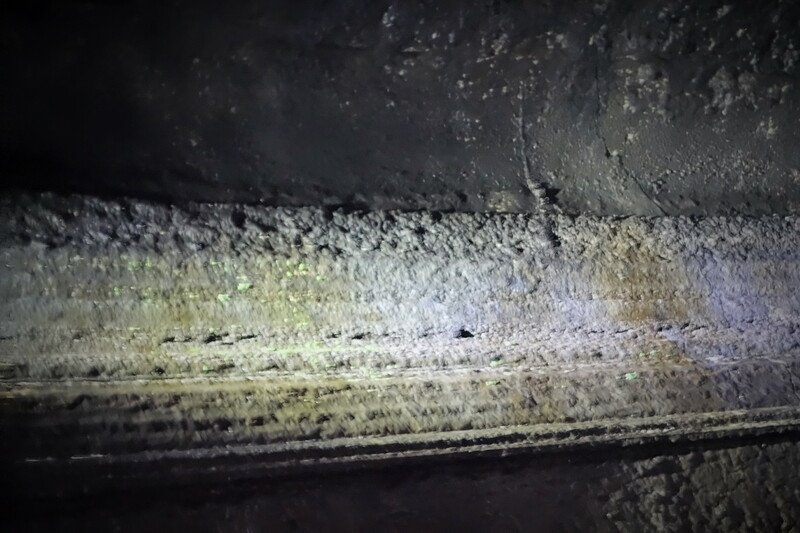 The tube was only discovered by accident in 2005 when an electric pole was replaced and should you wish to visit the tube, you can observe a variety of carbonate speleothem such as soda straw, stalactite, stalagmite and cave pearl. 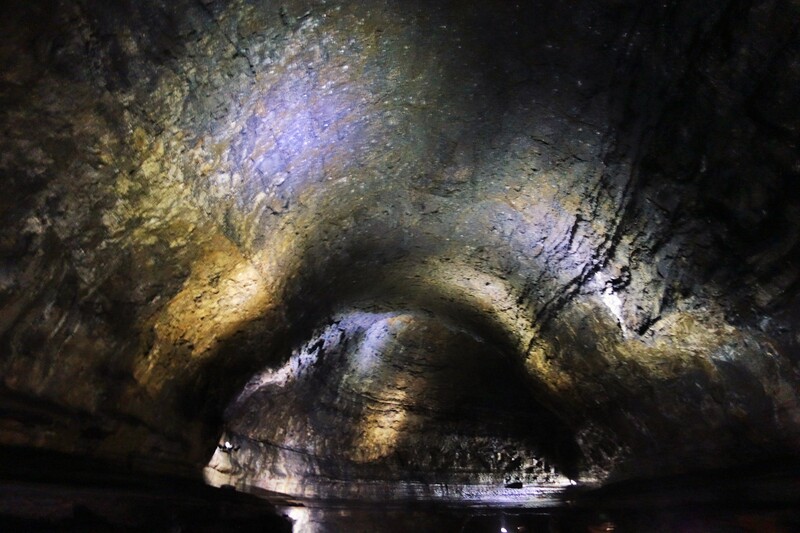 You can also detour on foot to take a look at Kimnyoung Lava Tube. During our walk, we found Kimnyoung Maze Park. We were intrigued, and had more than a brief glance at the attraction but at that point, I honestly thought we would not end up in the maze. I was wrong, and we had an absolute blast reconnecting with our childish sides (which, to be honest, we’ve never really been that out of touch with). 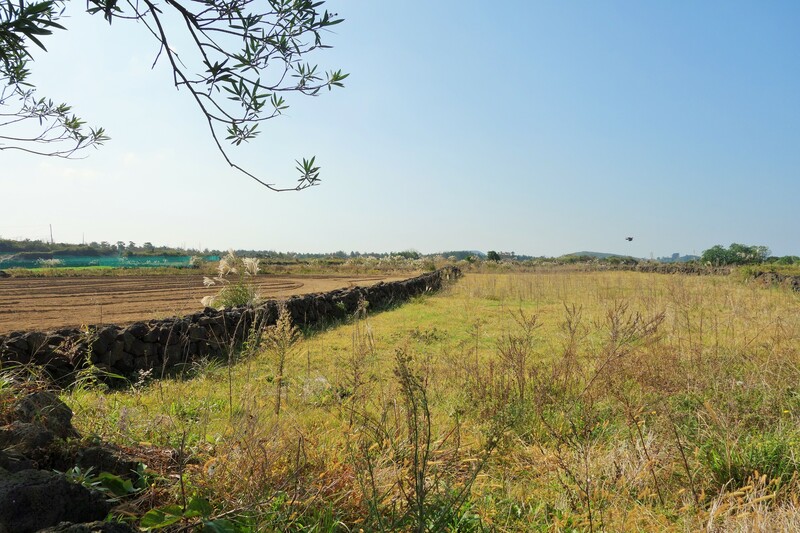 But more on the maze park in “Jubilant in Jeju Part 2” still to come. 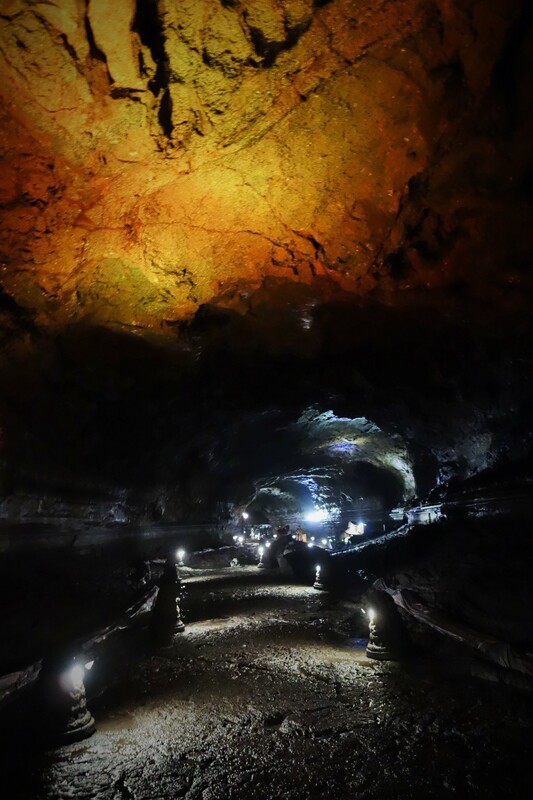 The Manjangul Lava Tube is part of the Geomunoreum Lava Tube system and has been awarded a UNESCO Triple Crown as well as being one of the New 7 Wonders of Nature. 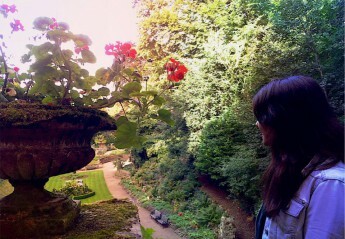 On the day we visited, the tube was open from 8.40am until 5.40pm. For those craving something educational, Manjangul fits the bill perfectly. 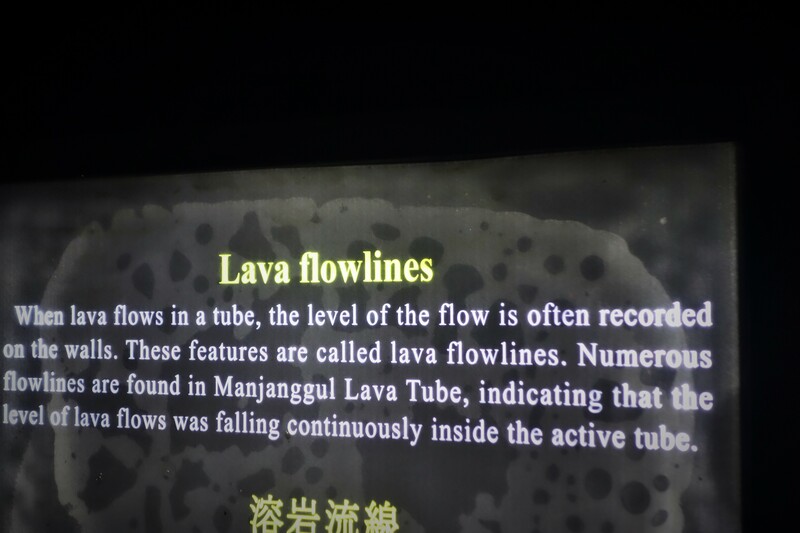 At the entrance, there is an information centre where the evolution of lava tubes are explained (skip the next mini paragraph if you just wish to read about what walking around the cave was like and look at the photos). The process starts with the cooling and hardening of lava on the cave surface, forming lava crusts on the surface of the flows. 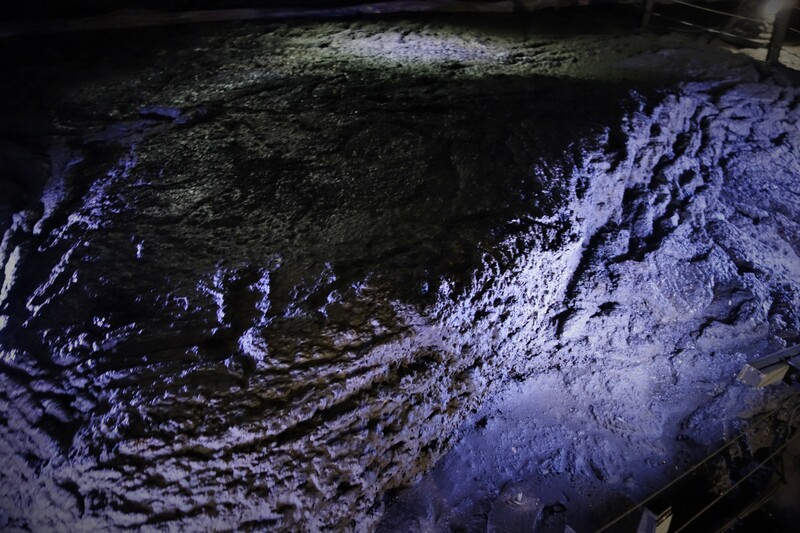 Next comes the deepening of the cave as more lava flows then melts the existing bedrock, deepening the floor. After this, whilst lava flow stays at a consistent level, the formation of new lava crust within the tube becoming the roof of lower level tubes occurs. This forms a multi-layer lava tube. The last lava to flow through the tubes sticks and remains on the floor and walls of the caves before, over time, the ceiling of lava caves collapse, creating new windows or enlarging existing ones. Weaker parts of the inner cave partially collapse and block the passage. 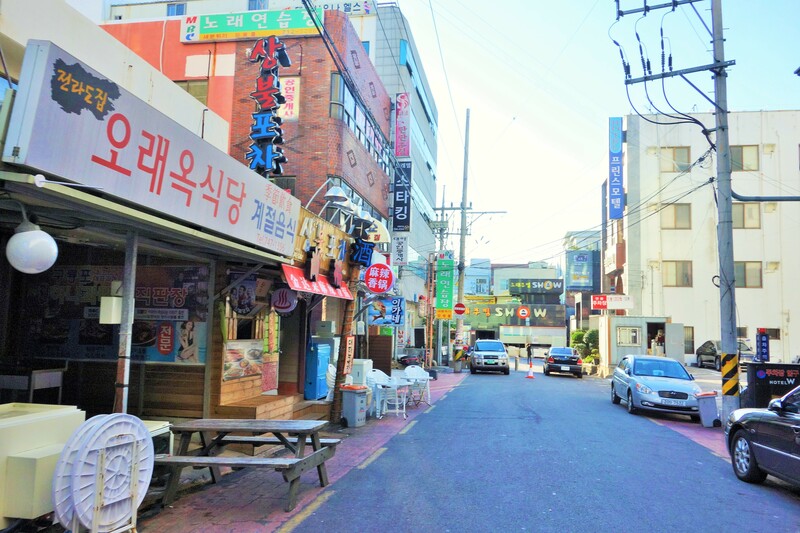 On site is a convenience store, Korean Restaurant and toilets; despite the fact that food is available if you absolutely need it, having the foresight to bring a packed lunch is a very good idea. I believe the Korean Restaurant was shut when we went to the site (if not, it was just very deserted) and the convenience shop does charge a fair amount for even basic refreshments. The walk to the lava tube entrance is about another 1km, and the walking part of the cave open to the public is about the same distance. The cave itself in full is 7.4km long, one of the largest in the world, and is exceptionally well-preserved despite being so old. Upon descending some steps, you reach the uneven and damp rock which lines the floor of the cave. Trainers and walking boots are a must here, and some people were even wearing jackets whilst exploring the cave. There are three entrances to the cave due to the collapse of the ceiling, with tourists using the second entrance. 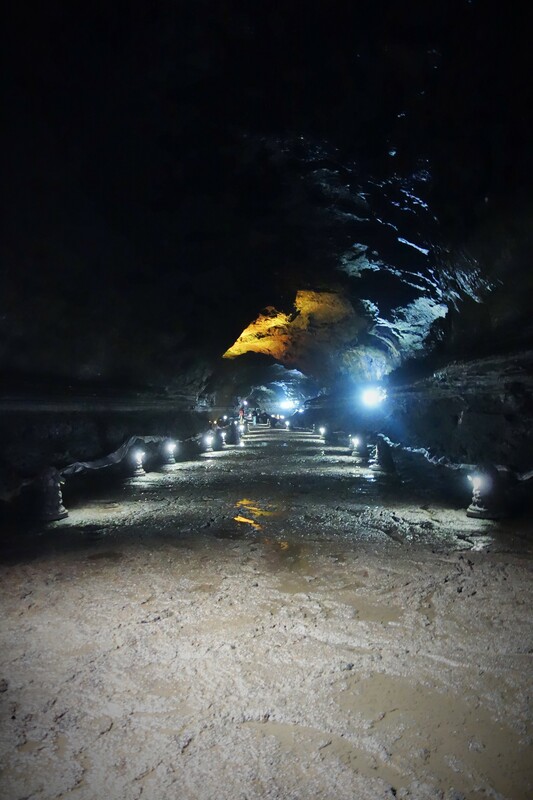 The main passage (which you walk through) has a width of up to 18m and a height of up to 23m. Although the cave is unbelievable beautiful because of its natural charm, there are a couple of coloured lights here and there. However, by and large, the only lighting in the cave is natural and colourless- there for safety and guidance rather than turning something natural into an entirely new artificial entity. 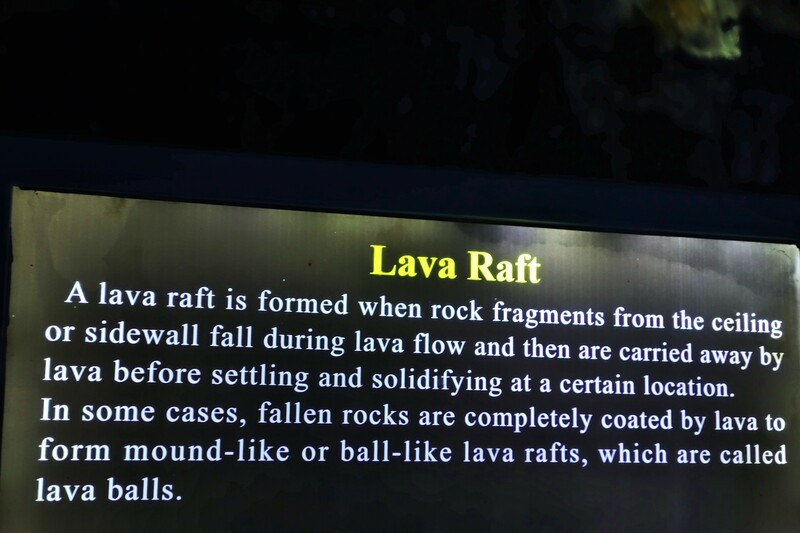 Underneath the various volcanic phenomenons, such as lava flowlines, lava stalacites and stalagmites, lava benches and lava rafts, is a description so that you can connect the visual image with knowledge about how the formations and decorations came to be. The day was not over yet. Next, we got to experience Kimnyoung Maze Park, an absolutely unexpected treat! 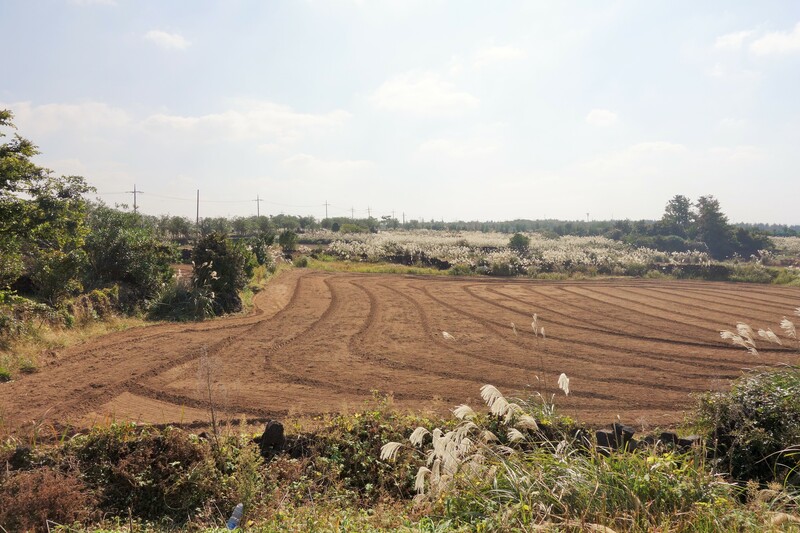 If you want, I’d love for you to read on to Part 2 (which I’m posting over the next few days) for more about Jeju Island. 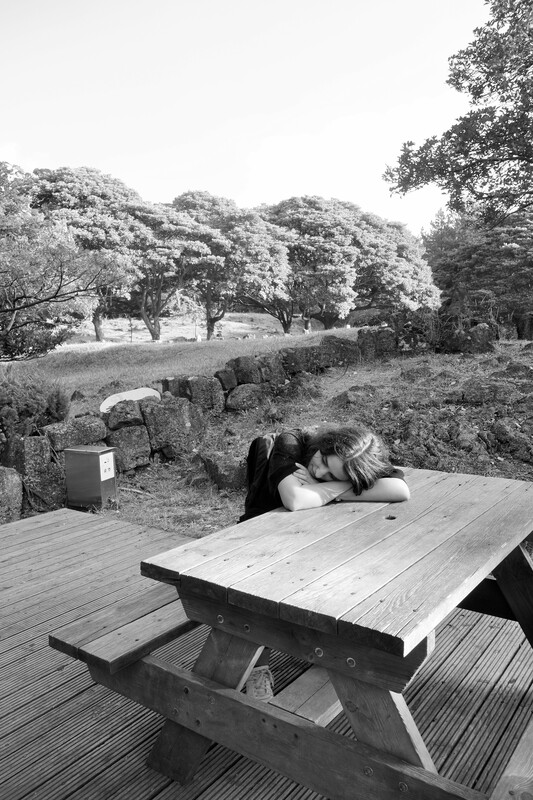 ← Why so over-jeju? My explanation to you.